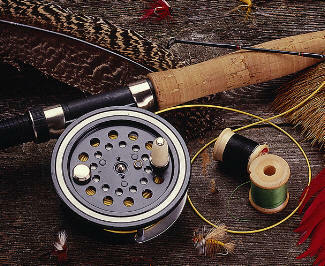 Learn the art of fly casting and gain an introduction to fly fishing with RiverFly Tasmania and Josef Chromy Wines. Enjoy a winery tour and cellar door wine tasting, fly fishing tuition and a 2-course lunch of fine Tasmanian produce with matched wines. Perhaps you are interested in learning how to cast a fly for the first time, or you want to improve your intermediate-level casting. Your instructor will cover rigging your rod, basic casts, loop control, distance, shooting line and ease of casting, plus double-hauling and aerial mends for more experienced anglers. The lakes at Josef Chromy Wines, 10 minutes south of Launceston, are our own private fishery stocked with trout. Your instructor is an experienced guide with an easy-going teaching style. Beginners, advanced casters, men, women and teenagers are all welcome! Class sizes are kept small so that each participant receives one-on-one teaching according to their skill level and experience. All equipment is supplied, and we'll make sure that your rod and line are perfectly matched to get the best out of your equipment. Try out some of the latest rods from Sage, Scott and Orvis. Interested in a casting tutorial only? RiverFly offer 3 hour tutorials ($100pp) at Josef Chromy Wines on request. All enquiries to Daniel and Simone Hackett at Riverfly 1864. www.riverfly.com.au or contact 03 6334 8386.